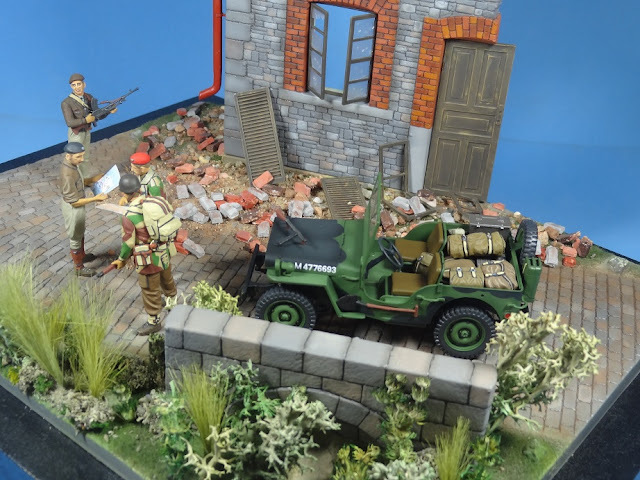 Plastic Models on the Internet: Diorama Vol. 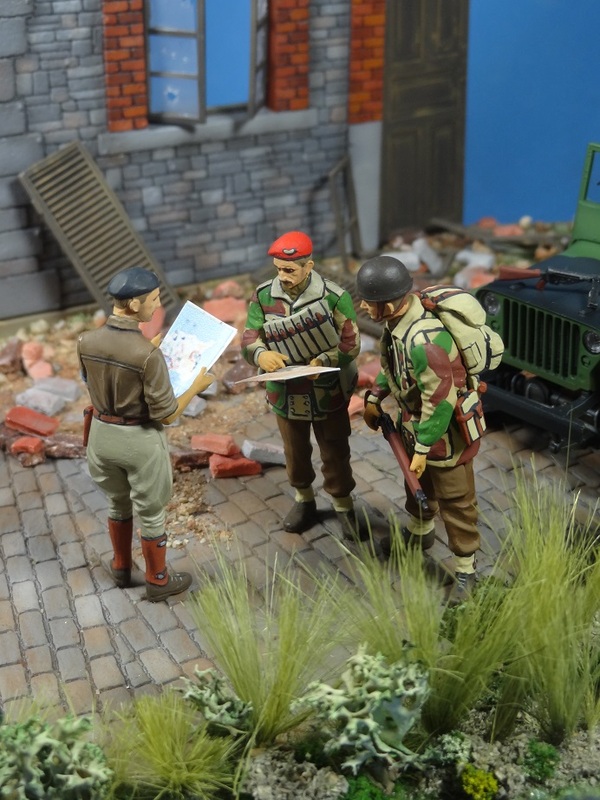 1: Normandy 1944: Where is the front? 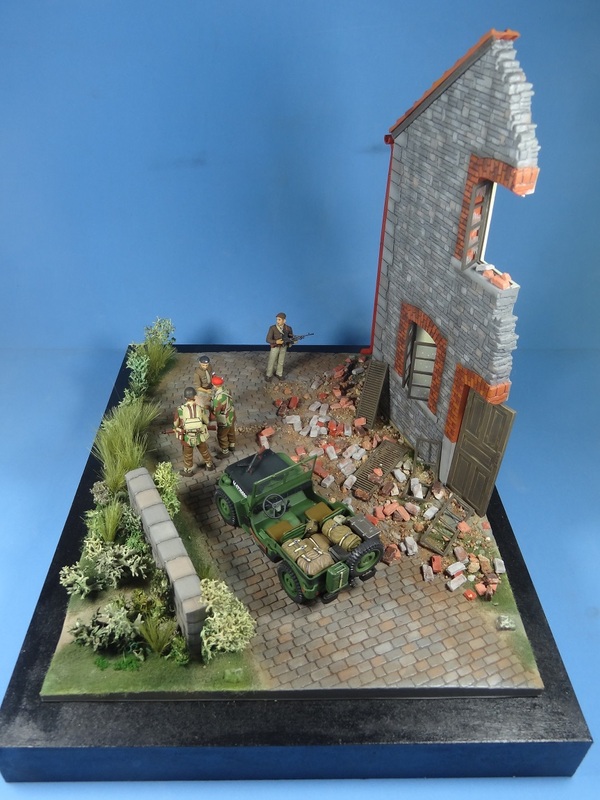 Diorama Vol. 1: Normandy 1944: Where is the front? 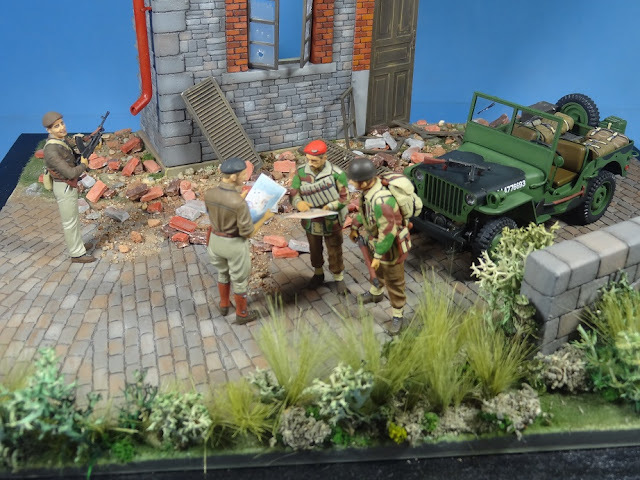 Normandy 1944: Where is the front? 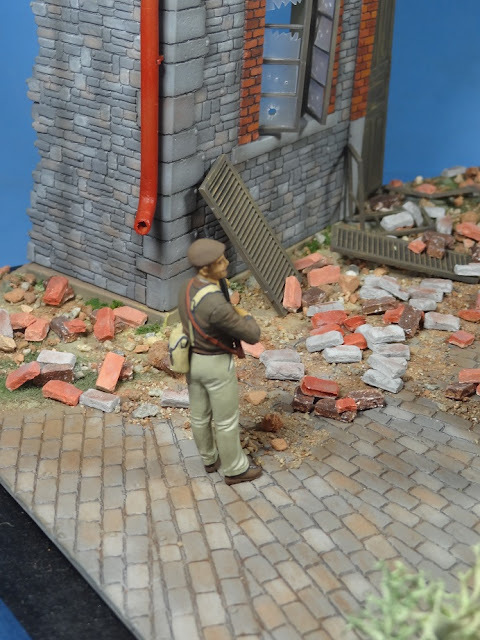 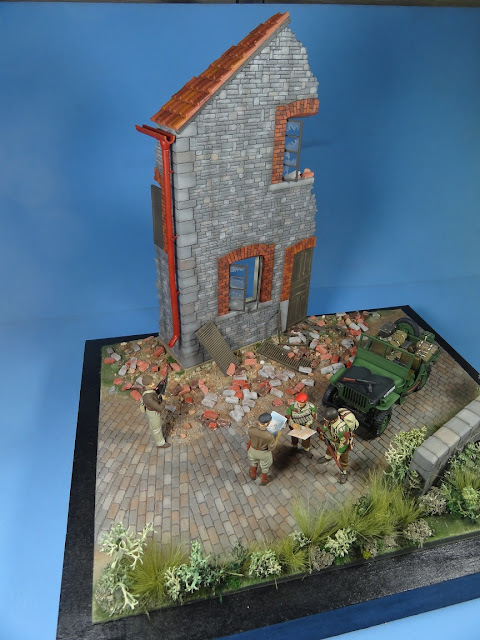 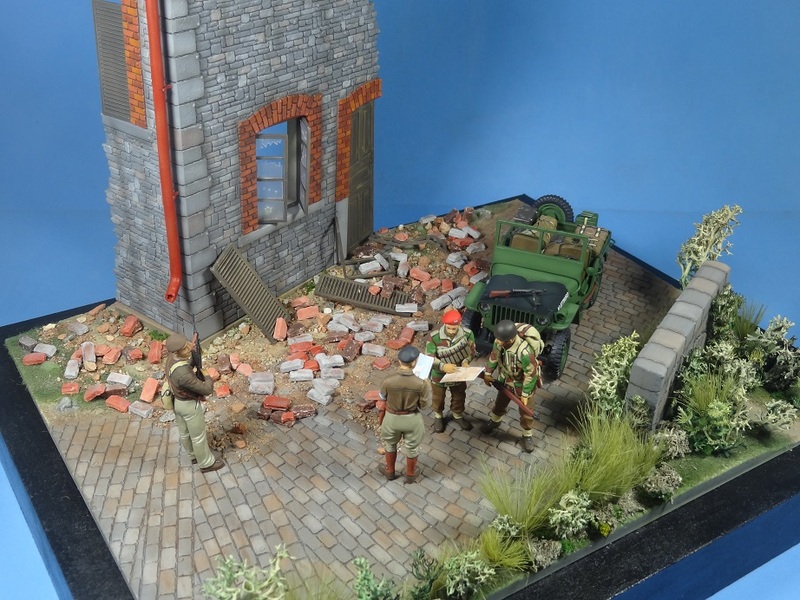 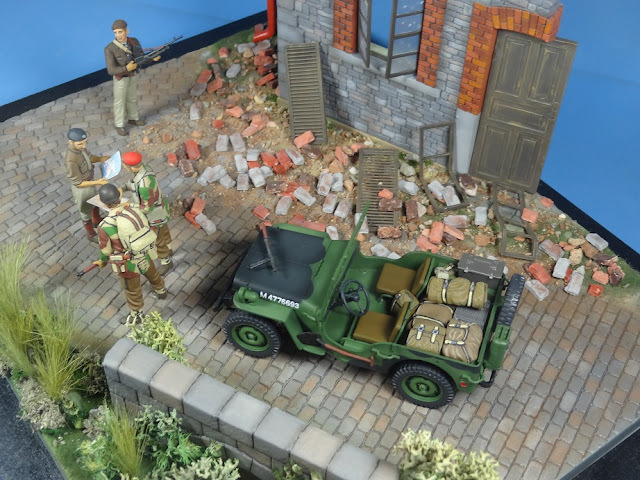 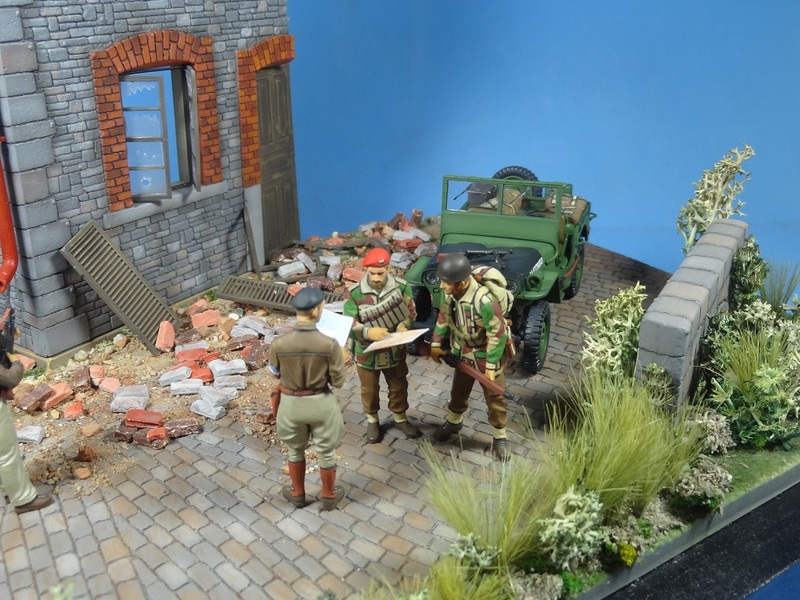 This is a scene built to represent an encounter between the British paratroopers and the french resistance during the Normandy campaign in June 1944. 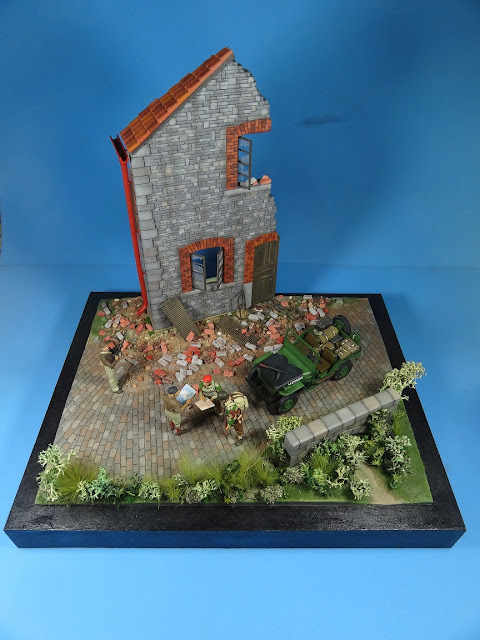 The center piece is the diorama box from Miniart (Boccage street) that was used as a Normandy environment. Figures came from two different sets from Masterbox and the jeep is from Italeri. The bricks aand vegetation were made from scratch using several different materials from a local art store.